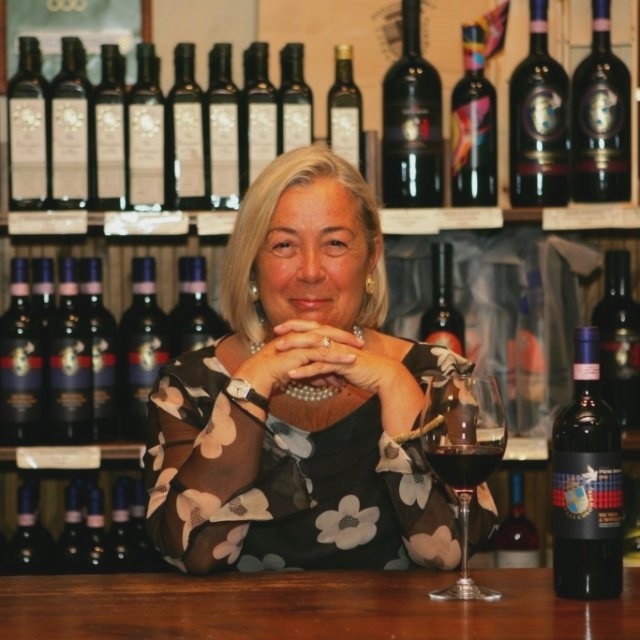 I was unable to go to Montalcino this year for Benvenuto Brunello, the annual event showcasing Brunello’s new releases – this time around, the 2012 vintage. 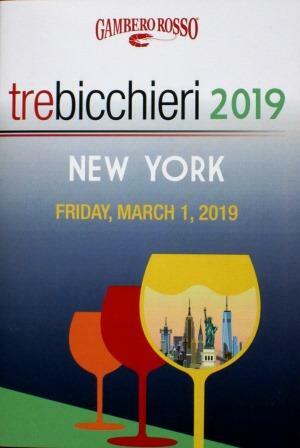 But I was lucky enough to have at least a truncated version of the event come to me: Approximately 50 producers (out of about 225) brought their wines to New York last week for a very illuminating presentation. 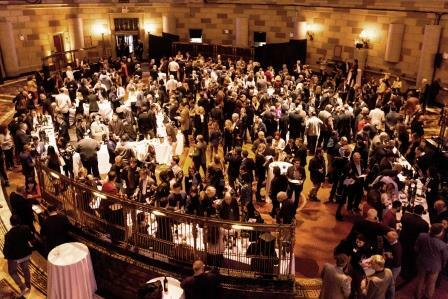 The major part of the event consisted of stand-up tastings at tables set up on the broad ground floor of Gotham Hall, plus two upstairs seminar-style presentations – the earlier one of older Brunello vintages and the later a presentation of the 2012 vintage as exemplified by wineries from differing parts of the zone. 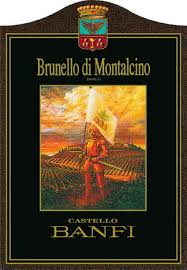 I was very curious about that aspect of the vintage, because the Brunello zone, though relatively compact (a rough square bounded by three rivers) possesses highly diverse soils and at least two distinct climate zones, sharply separated by the ridge that divides the square into northwestern and southeastern triangles. So I booked myself into the second seminar and arrived well in advance of it so I could do some serious tasting at the tables before the event got crowded and turned into a rugby scrum, which it almost always does. I’m getting a little old for those sorts of contact sports, and I find it difficult enough to hold a wine in one hand and take notes with the other while standing up and trying to get access to the spit bucket (why does someone always plant him/herself right in front of the spit bucket?) and ask the attending producer some intelligent (I hope) questions about the vintage. I tasted what I could – about 10 wines – before heading upstairs to the seminar. Preliminary conclusion: a good vintage, but probably not a great one, though with a long-aging wine like Brunello, that has got to be a very provisional judgment. 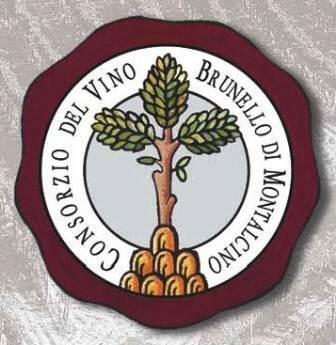 The Brunello consorzio has awarded 2012 five stars (out of five), but the consorzio is always – let us say, optimistic – about the caliber of its vintages. Certainly, one characteristic that leaped out at me from all the wines I had thus far tasted: 2012 was a very high-acid vintage. That has two consequences: These Brunellos would really need food to show their best, and they might live forever, since acidity is what keeps a wine – especially a Sangiovese wine – alive. Acidity is the element that makes a wine food-friendly and structures it for long life. Thus provisionally enlightened, I made my way to the seminar, which featured examples of 2012 Brunello from Castelgiocondo, Collosorbo, La Magia, Le Macioche, Loacker Corte Pavone, Pian delle Querci, and Talenti, plus one 2011 Brunello Riserva Poggio alle Mura from Banfi. 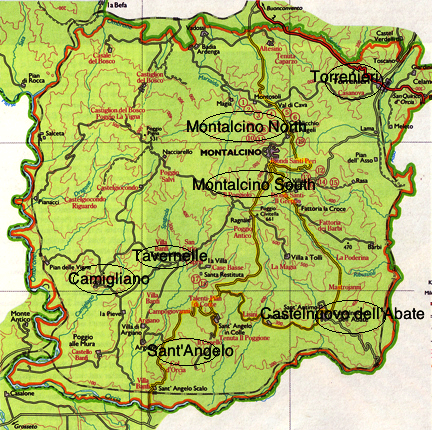 The areas represented included the center-west of the Brunello zone (Castelgiocondo), the extreme north of the zone (Pian delle Querci), the center-east (Le Macioche), and several spots in the south, ranging from near Castelnuovo dell’Abate (Collosorbo) westward past Sant’Angelo in Colle (Talenti) and southward toward Sant’Angelo Scalo (Banfi). 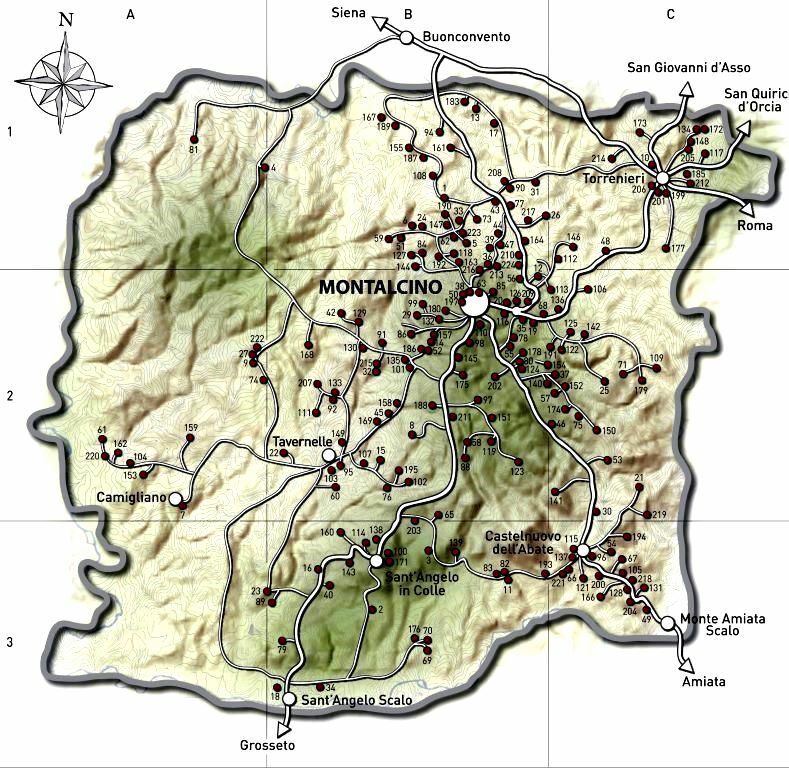 Just for a reference point for Brunello buffs, the fabled Biondi Santi is located fairly centrally, just a short distance southeast of Montalcino. 2012 seems to have been an agronomist’s and winemaker’s nightmare for most of the growing season. The Brunello zone, south of Siena, is normally drier and hotter than the Chianti Classico zone north of Siena. I can vouch from personal experience that hot in Montalcino can be really torrid. The zone depends on water reserves built up in the soil by winter snows, and the winter of 2011-12 didn’t provide many of those. There was some rain while the vines were flowering, which wound up reducing the crop by about a third of average size. Then it got dry again, with a very hot July and August. In late August, very good weather arrived and saved the season, so after a great deal of anxiety, the growers wound up pretty happy with the grapes they picked. Though the selection of wines at this seminar was intended to show some of the differences of Brunello’s several soils and microclimates, that wasn’t the thing that struck me most forcefully about the tasting. There was a pretty good level of quality in all the wines, with a lot of fruit, all marked by very high acidity – but after that, what stood out for me was the extraordinary diversity of styles. A few wines were very traditional and tasted like classic Brunello, but most were all over the place, with differing degrees of international inflection, mostly shown by the use of new barriques, or with a market-appeal emphasis on big, up-front fruit and heavy extraction. Each of these styles will have its fans, of course, but my regular readers can guess where my heart is: I loved the classic Brunellos. Talenti for me was the stand-out wine of the seminar, followed by Pian delle Querci. In the broader tasting, I was struck by Col d’Orcia – always elegant – and by Banfi’s basic 2012 and especially its Poggio alle Mura 2012. 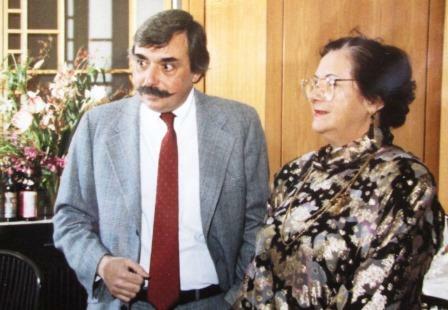 It’s pleasantly ironic that Banfi, once seen as the disruptive modernist in the zone, now seems a pillar of traditional Brunello. Probably in more climatically ideal vintages, like 2010, soils and microclimates loom larger in Brunello, but in vintages like 2012, where active field and cellar work seemed absolutely necessary, the agronomists’ and winemakers’ choices seem to create the greatest distinctions among the wines. What that means is that buyers have to taste at least a few Brunellos to find the style they like: Critics’ judgments and generalizations – and I include mine – will be no help. 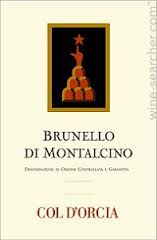 By now, I’m sure that anyone with the smallest interest in wine has heard at least some of the hoopla about the 2010 vintage of Brunello di Montalcino. 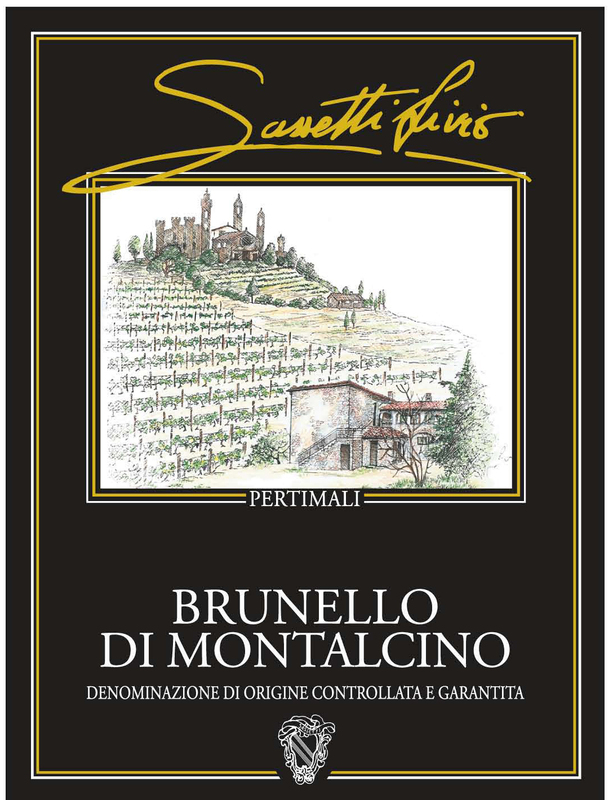 The ’10 Brunellos are just now being released, because of the strict aging requirements that the Brunello DOCG demands. I didn’t make it to the Benvenuto Brunello event in Montalcino this year, where almost all the Brunello producers showed their wares, especially their 2010s, so I only caught up with any of the wines recently. 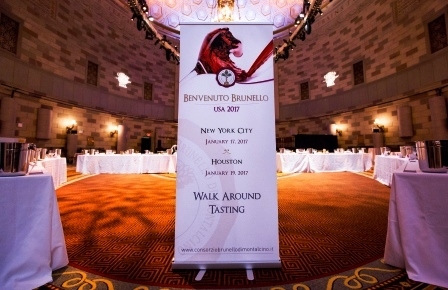 Last month at Gotham Hall in New York, 44 Brunello producers showed their new releases. 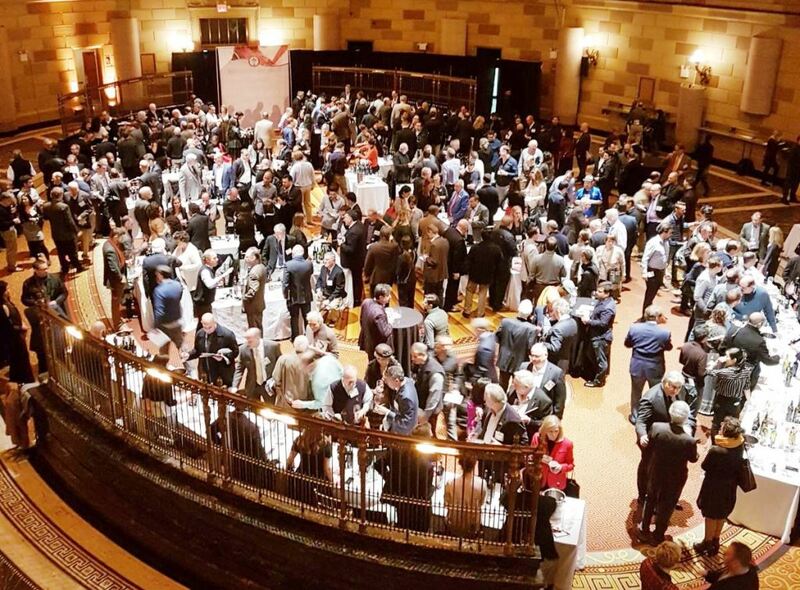 Forty-four may sound like a lot of Brunello makers, but it is only a fraction – about one-fifth – of the ones who pour their wines at the Montalcino event, so the New York version hardly gives a comprehensive view of the vintage. 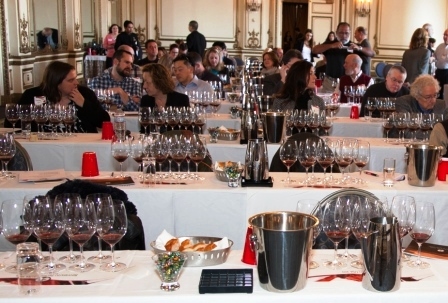 As you might expect, most of the participants here were larger estates, and all were wines that have already established at least a toehold on the American market. Consequently, I can’t make any judgments about what the vintage was like throughout Montalcino: My comments can reflect only the group of wines I was able to taste. Enough qualifications: Let’s cut to the chase. 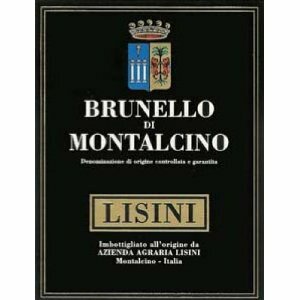 What do I think of Brunello 2010? Well, it’s unquestionably a good vintage, potentially a very good one indeed, but it’s not of the same caliber as the 2010 vintage was in Barolo and Barbaresco, which are superlative wines. 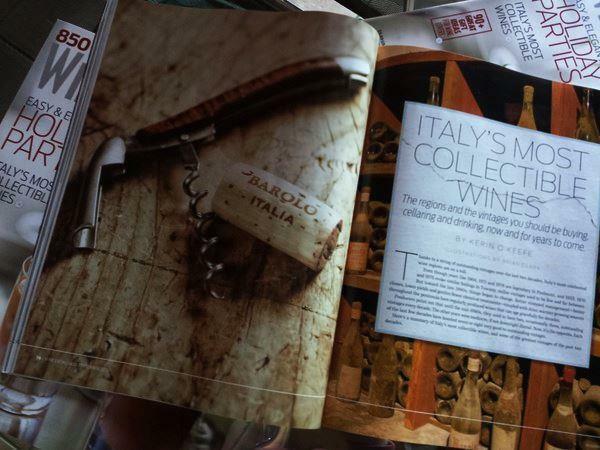 Brunello producers love their 2010s, especially because they follow a few less-than-exciting harvests. 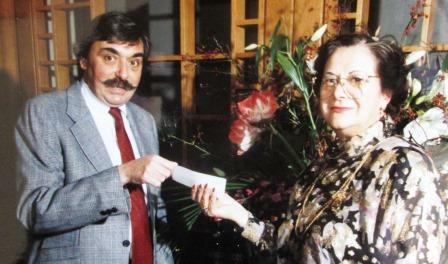 The winemakers themselves who were actually in attendance in New York – very few, unfortunately – all raved about how equable the growing season had been, how problem-free the harvest went, what perfect ripeness the grapes achieved. And I could taste that: All the wines, across the board, had fine structures, with good acidity, already softening tannins, and an abundance of dark-cherry fruit. Some displayed remarkable accessibility, being already pleasantly drinkable, though most still need time to fully come together. Almost all of them displayed the kind of equilibrium of fleshy fruit and acid/tannin/alcohol structure that promises not only long life but really interesting development. I think many of these 2010s will get better and better as they age. Certainly, were I a few decades younger than I am, I’d put some cases away and forget about them for as many years as I could. This is not to say there weren’t the usual evidences of the human ability to screw anything up. A few wines were perceptibly over-oaked and/or over-manipulated, so that good Sangiovese fruit was submerged in a sweet stew of oak and vanilla and coffee. But there were in fact very few of those, and most of the wines I tasted reflected admirable restraint in the cellar, letting the pure pleasure of Montalcino’s grapes and soils shine through. So why am I hesitating to be as super-enthusiastic about these wines as I have been about the 2010 Barolos and Barbarescos? Good question, and one I’ve been trying answer for myself ever since I tasted them. Partially, of course, one cause is the difference in the grapes themselves. For my palate, Sangiovese, much as I love it, never achieves the amazing complexity and layered-ness that the best vintages of Nebbiolo reach. 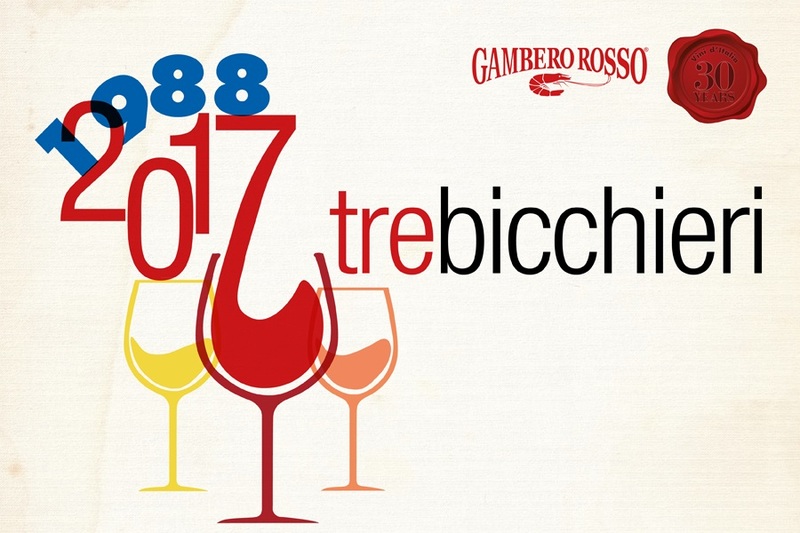 Granted, that shows best with older wines, and younger Sangiovese almost always makes pleasanter drinking than young Nebbiolo. But I think the main reason I’m hesitating is the growing season itself and its results in the two zones. Good as the 2010 harvest was in Montalcino – especially in comparison with the two preceding ones (both generously overvalued by the consortium) – it just doesn’t seem to me that it was as off-the-charts good as 2010 in Alba. 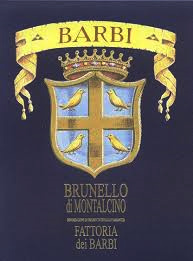 As much as I enjoyed the vast majority of 2010 Brunellos I tasted, very few of them made me tingle with anticipation from the very first smell and smack my lips with relish at the very first taste as so many of 2010 Barolos and Barbarescos did. Granted, that may be purely a subjective response – but it’s the only one I’ve got to work with. I’m just not getting from Montalcino’s wines the intensity, the perfect pitch, that I got from Alba’s. Very good; still lots of tannin, but plenty of acidity and fruit – a meaty wine in the very best sense. A very small estate. Soft tannins, lively fruit, a bit of astringency in the finish, but developing nicely. This one’s going to go long – a big, structured wine, with excellent fruit. Totally worthy of the vintage. The basic Brunello has a lovely nose, good fruit, terrific acid, soft tannins, all developing very nicely. The cru Vigna del Fiore is huge and will need years to show its no-doubt spectacular best. Deep, dark nose, slightly tobacco-y. Big dark fruit on the palate, beautiful long finish, almost licoricey. Well structured, like all the best wines of this vintage. Lighter-bodied than most, but well balanced and juicy. Structure is sound, on a slightly smaller scale than the very best wines of the vintage. Good tannic, grape-skin nose. On palate, soft tannins, fine fruit, lots of acidity, quite long finish. Should develop and improve for many years. A classically structured, classic tasting example of this very fine vintage. Another slightly light-bodied wine, but beautifully put together and already juicy and flavorful. Simply a gorgeous wine, one of the best of the vintage I’ve so far tasted. A huge wine, beautifully balanced, with deep black cherry fruit supported by excellent acid and tannin, for me the outstanding wine of the vintage. My hands-down favorite. I think this is a great wine. So there you have it, 2010 Brunello as I’ve so far experienced it. I may report on the vintage again in future posts as I taste more of it, especially if I come across anything I like better than these. Roberto Cipresso is a very highly reputed consulting enologist in several parts of the world (e.g., Italy, Brazil). 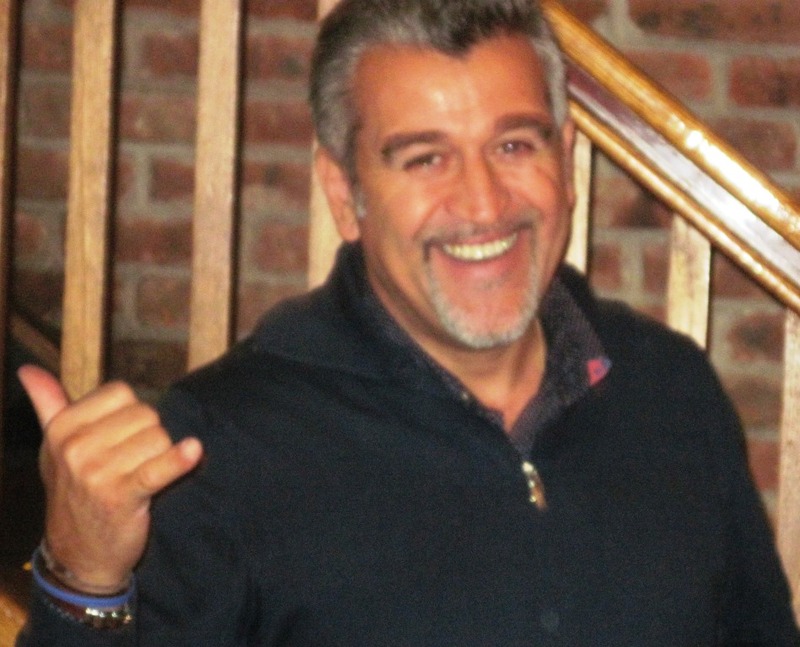 Originally from the Veneto, he first made his name in Tuscany and his heart lies there, at the Brunello di Montalcino estate La Fiorita, of which he is co-owner with Natalie Oliveros. To that end, Cipresso does what he regards as minimal work in the cellar, opting instead to cleave to what the vineyards give him. 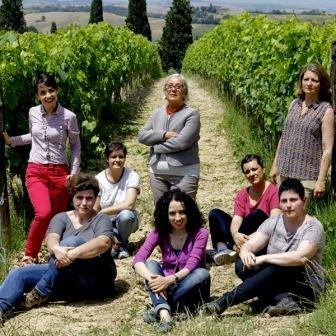 He has three of them to work with: Poggio al Sole, between the hamlets of Castenuova dell’Abbate and Sant’Angelo; Pian Bossolino, slightly further north; and a new vineyard, not yet fully on line, Podere Giardinello, west of the town of Montalcino. 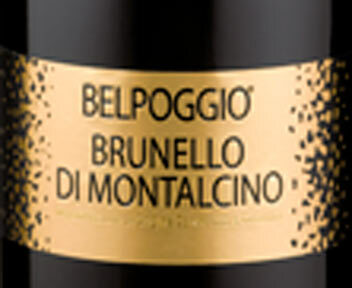 The latter has completely different soils and exposure from those of the other two vineyards, and Cipresso is very excited by what it will add to his basic Brunello – so much so that he is contemplating the possibility of bottling it as a cru. At present, the grapes from each vineyard are fermented separately for 25 days in large Slavonian oak vats and then drawn off into tonneaux, one-third of which are new each year, one-third of second passage, and one-third of third passage. The wines stay in the tonneaux for just eight months, then finish their two years of wood aging together in large Slavonian vats again. All La Fiorita Brunello then receives extra bottle aging beyond the DOCG requirements: Cipresso prefers to do this so the wine will integrate more fully and be readier to drink on release. 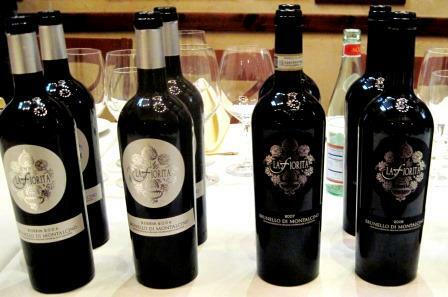 La Fiorita’s 2008 vintage, for instance, is just coming onto the market now. 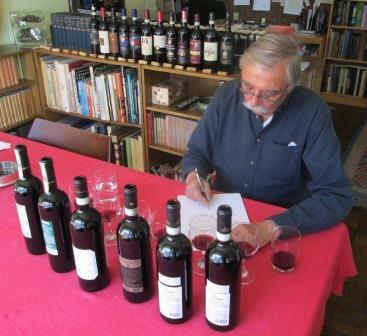 Over lunch, Cipresso showed four of his wines: the two most recent Brunellos and his first two Brunello riservas. 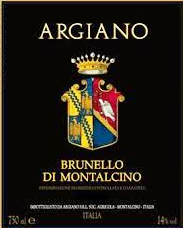 Brunello 2008: The first things that struck me about this wine were its balance and elegance. This is the antithesis of fruit-bomb, in-your-face Brunellos. It starts light and grows on the palate, finishing big and persuasive. Dark cherry and tobacco in nose and mouth, with excellent acidity to keep it supple, and a long cherry finish. A thoroughly enjoyable wine with what tastes to me like true Brunello depth. 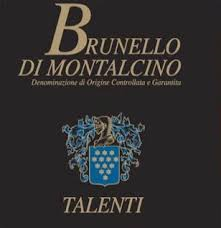 Brunello 2007: More tannic and tobacco-y than the 2008 but with equally fine balance. This wine shows a bit less fruit and a lot more structure than the preceding one, though this may simply be part of the normal evolution of the wine. Unquestionably as fine and elegant as the ’08, though the vintage difference is apparent. Brunello Riserva 2006: This was La Fiorita’s second riserva bottling, and I found it initially still slightly closed, though it opened gradually and steadily in the glass. For sure, it will reward at least a few more years’ cellaring. It’s a big wine, balanced, and tasting emphatically more of earth and gravel than of Sangiovese fruit (though that is still abundantly present). An excellent example of the best that Montalcino can do, in my opinion. Brunello Riserva 2004: This was La Fiorita’s first riserva. The vines, which had been planted in the 1990s, had just really come of age. It isn’t a huge wine, but it has great elegance and balance. It shows classic Montalcino dark cherry flavors and prominent acidity, with a very lively, long finish and overall great structure. For all that, Cipresso doesn’t think this ’04 will live as long as the ’06 Riserva – and I’ve got to say, I kept going back to that 2006 all through the lunch, because it kept opening and changing in the glass in fascinating ways. All four wines were marked by the kind of great elegance and balance that Cipresso strives for, but each differed from the others in intriguing ways, expressing different aspects of Sangiovese, Montalcino climate, and Montalcino soil. 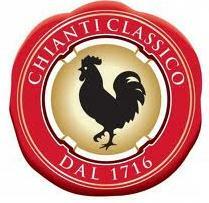 What else can you ask of a great Brunello?